I have been an LPN for the past 14 years. In this time I have had the privilege to experience different types of nursing including Acute, Residential and Mental Health. I have been a strong advocate for LPN’s in various union settings and other volunteer opportunities. With the best interest for LPN’s in mind, I have worked diligently, travelling and meeting LPN’s all over the province. Advocating for us all as I went. Advocating for LPN’s as a member of the LPNABC board is a way for me to use my skills to help bring better opportunities to all BC LPN’s. This is also a new endeavor for me and one I am very excited about. 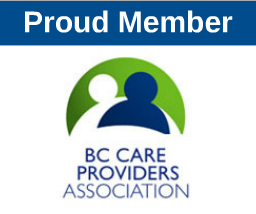 I hope to help their membership grow and be a strong voice for all of the LPNs in BC. I have been politically active in LPN union affairs; I helped to organize LPNs to join BCNU and I continue to support one union for all nursing, including RPN’s. This advocacy trail led me to last July’s meeting of the coalition-of-nursing with the minister of health and large portion of his staff in attendance; where again I publicly spoke on the issue of full and consistent utilization of LPNs regardless of anyone in the health authorities’ contrary agenda. I strongly believe in the full utilization of LPNs and further, any deviation from the full utilization of LPNs, is not in the interest of the public good.